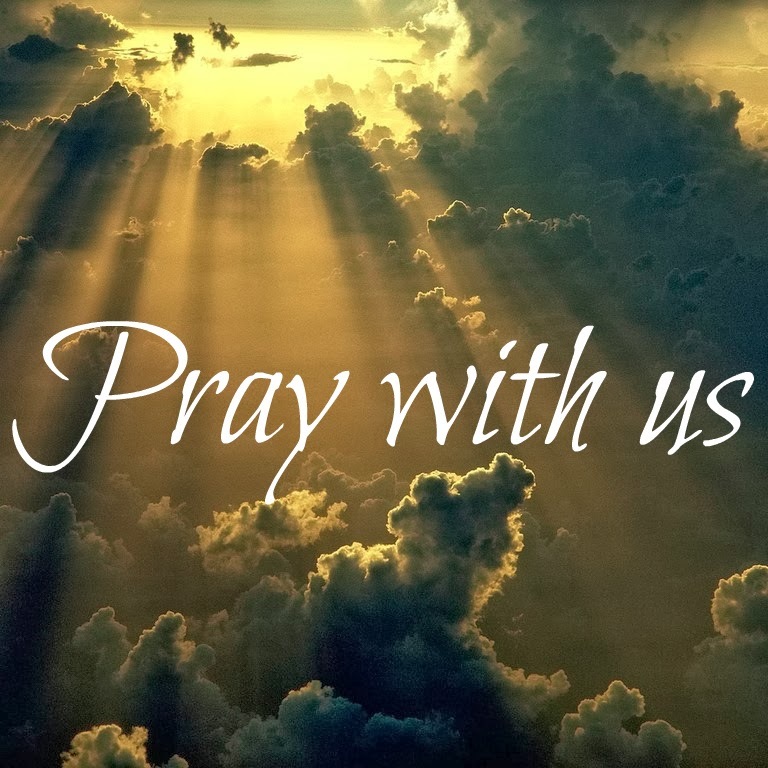 We pray for the people who are in a coma, or have dementia, or who have been afflicted with a condition that results in them not being aware of who they are or are not even able to respond and acknowledge close family and friends. We pray that they recover their mental faculties and make a full recovery, physically, mentally and emotionally. We pray for the family and friends of the above people. May they have the faith, strength, support and love of all those around them in getting through this difficult period in their lives. We also pray for the caregivers of the above people. May they have the patience and respect for the above people to take care of them good and well. We give thanks for all the caregivers, nurses, doctors and other healthcare workers who are in this industry, that they have chosen this noble profession. I would especially like to pray for Mr Abdul Samat, my dear teacher secondary school teacher who was hit in the head by the shot put a year ago. 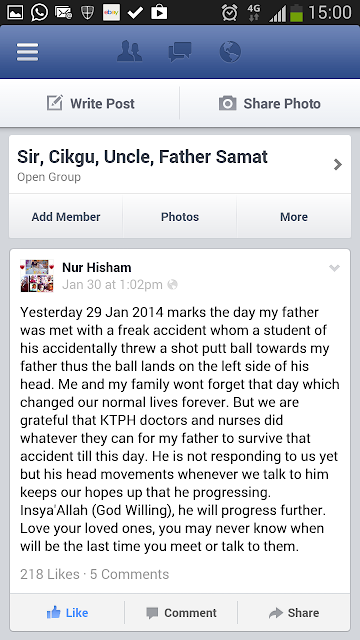 The screenshot on the left shows the latest update of Sir's condition from his son, a few days ago. The last time I saw him, a few months ago, he has already opened his eyes. Is this considered to be out of his coma? However, he is still not responding to his family and friends talking to him, though there are small signs of progress. We take heart in the signs of progress and pray for more improvements in this new year ahead. We pray that he recovers his mental faculties so as to be able to speak to his family. and friends. We pray for his family.